SAN ANTIONIO – The greatest indoor event in ProRodeo is about to be even better. 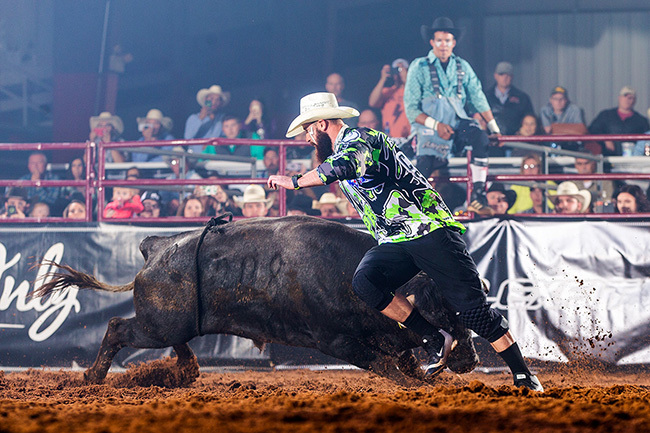 The San Antonio Stock Show & Rodeo is teaming with Bullfighters Only to produce a legendary freestyle bullfight during this year’s Xtreme Bulls event, set for 1 p.m. Saturday, Feb. 24. The high-stakes competition will take place at the AT&T Center and will feature the best in the BFO battling for their share of a $25,000 purse – half of which will go to the winner. “Bullfighters Only has established a following showcasing the best athletes in freestyle bullfighting,” said Glen Alan Phillips, chief strategy officer at the San Antonio Stock Show & Rodeo. Rutkowski will be joined by a stellar cast of the BFO’s top talent: Toby Inman, Kris Furr, Dayton Spiel and Tanner Zarnetski are all set to compete. The sixth contender will be decided Saturday, Feb. 17, during the San Angelo Stock Show and Rodeo. Justin Josey, Zach Call and Schell Apple will square off against counterparts from 2017 BFO Stock Contractor of the Year, Rockin’ B & Magnifica Fighting Bulls.